HorrorPublishing.com is affiliated with Mentillo Brothers Entertainment -- A Mentillo Brother Production Company. About the Publisher, Horror Press Publishing -- is an award-winning, (Monthly Creative Arts Awards Nominee) professional horror publishing imprint label, based out of Boston, Massachusetts. Originally, the imprint was developed solely as a print label to promote various horror books. However, the publishing imprint label has taken on higher grounds and now involves more than only horror books. The label currently concentrates on formulating and creating anything, and everything horror related within the entertainment, and publishing industry, etc. The imprints original (founding member) was pulp-fiction, bestselling, science-fiction author and producer, of the popular television series...The Twilight Zone, "Rod Serling." To date, the imprint's current manager now is, Gloria Pasztor. The company holds high regards for Mr. Rod Serling's past contributions for his exciting creations within the industrial field. So as long as Chris Mentillo is alive, Serling will be highly respected: "For As Long As I Am Still Alive, Rod Serling Shall Never Be Forgotten." HorrorPublishing.com (Horror Press Publishing) is a horror publishing production company regarding all things horror, such as books, horror comics, voodoo products, journals, articles, website content writing, professional editing and ghostwriting, mugs, t-shirts, posters, art, video, television, scripts, professional book covers, (both print and electronic) music, film, movies, and just about anything you can think of related to horror - excluding judgemental behavior, racism, hate, slander, violence, etc or anything considered unacceptable to the main media and public. HorrorPublishing.com is a professional sound publishing company, with enjoyable entertaining intentions for the overall general public. HorrorPublishing.com (Horror Press Publishing) is affiliated with The Mentillo Brothers Entertainment -- A Mentillo Brother Production Company. Gloria Pasztor, Marie Mentillo, Doug Gazaille, Lakeshia M. Byrd, Tim W. Byrd, Lisa Parker, Lawrence Kennedy, Lynn Davis, Karan Henley Haugh, Ph. D., and Chris Mentillo, Ph.D.
Chris Mentillo is a “True King of Horror.” Practically his entire life -- macabre followed, and so he had no other choice, but to get involved. Therefore, as an eccentric and recluse, it only made “perfect sense” for him to write, research, produce, create, and share supernatural horror stories, through music, movies, and his books -- starting first with his own life experiences. Award-winning Horror Author, Chris Mentillo, Ph.D., a top 10 best selling published writer recently revolutionized, modernized, and devised what is now categorized and designated today as, "true-fiction. 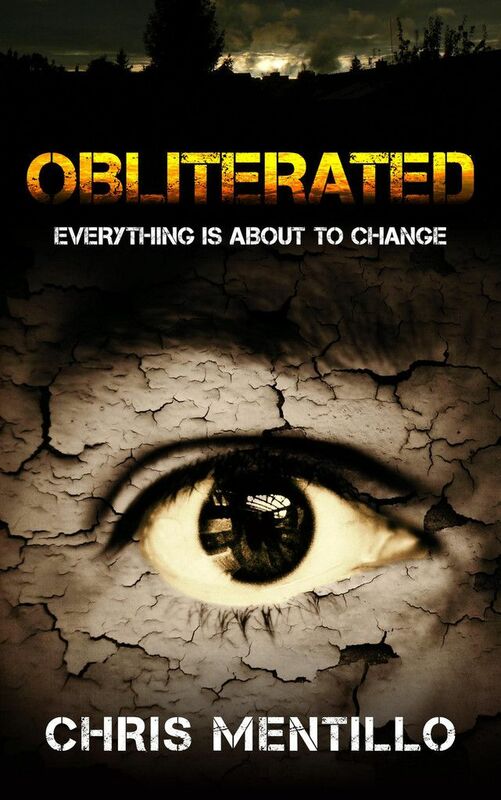 “His new horror book, "Obliterated" was the very first horror novella (short) ever to capture this new genre in literature title. Chris Mentillo, Ph.D., aka "Doc Mentillo," a best-selling, -- award-winning horror writer, and producer. He was born in Auburn, New York while he grew up in Skaneateles, New York. Chris Mentillo then moved to the Boston, Massachusetts New England Area, where he finished receiving his formal education at North Attleboro High School, and Bradford College in Massachusetts. Later he became a graduate of, “The Massachusetts Criminal Justice Training Council Institute” in Boston, Massachusetts, which now hails as part of Northeastern University Massachusetts program. He then went back to receive his research doctorate degree in psychological counseling, and criminal psychology and studied at Palmer 5 building at Deaconess Hospital, Longwood Medical Center Psychiatric Department in Boston, Massachusetts. Plagued with horrific nightmares during his tenure in New England, he began writing about his real-life spiritual and paranormal experiences while documenting them in his personal journal. These documents also consisted of the author's bizarre dreams. Some of the "true occurrences" he later recorded from literature became available on his radio show broadcasts. However, for some reason, he officially only published a portion of them. This later leads to him writing about true-crime mixed with paranormal horror and the supernatural for which he believes all intertwine. Additionally, Chris Mentillo has written movie scripts, songs, and over several best-selling books, which usually fall into the supernatural horror genre or the Macabre. Other Authors such as H. P. Lovecraft, Stephen King, Edgar Allan Poe, and Thomas Ligotti also used macabre atmosphere in their works.